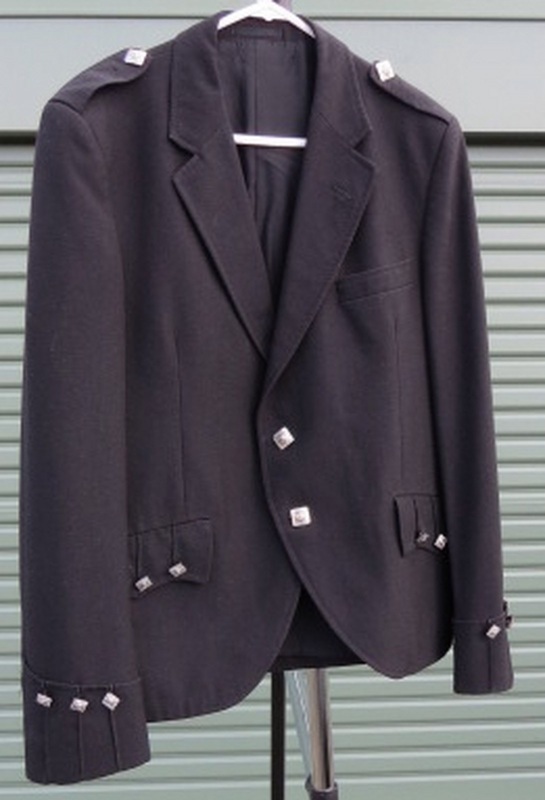 MENSWEAR 1 Scottish jackets, black (see next page for other colours and styles). These have all been dry-cleaned. Some Scots see advantages in having the bridegroom dressed differently from the groomsmen, so you can tell who's who. See also Menswear 3 for kilt jackets in other colours. Postage within Australia without extra packaging $10. Postage outside Australia is likely to be too dear. 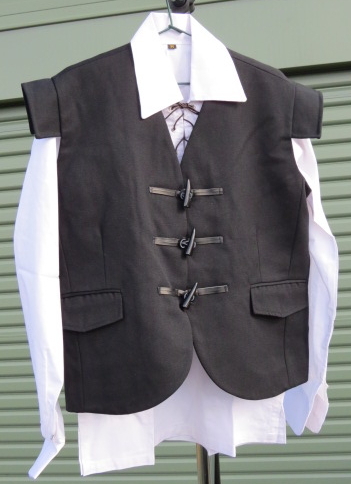 Jsc1a and b. Jacobite/ghillie waistcoat, shown with Jacobite shirt (available for purchase separately). Informal, summer weight. New. Good for pirate outfit too. M and L. Boy's sizes of shirt and waistcoat also available. 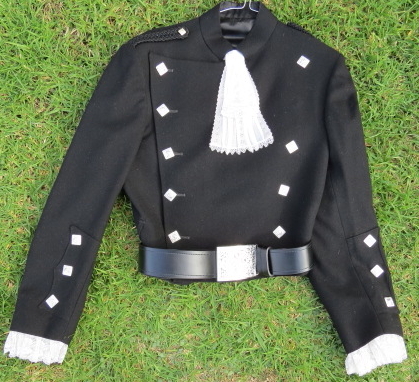 Jsc2 Argyll jacket. Day or evening. Various sizes. Boys' sizes also available. 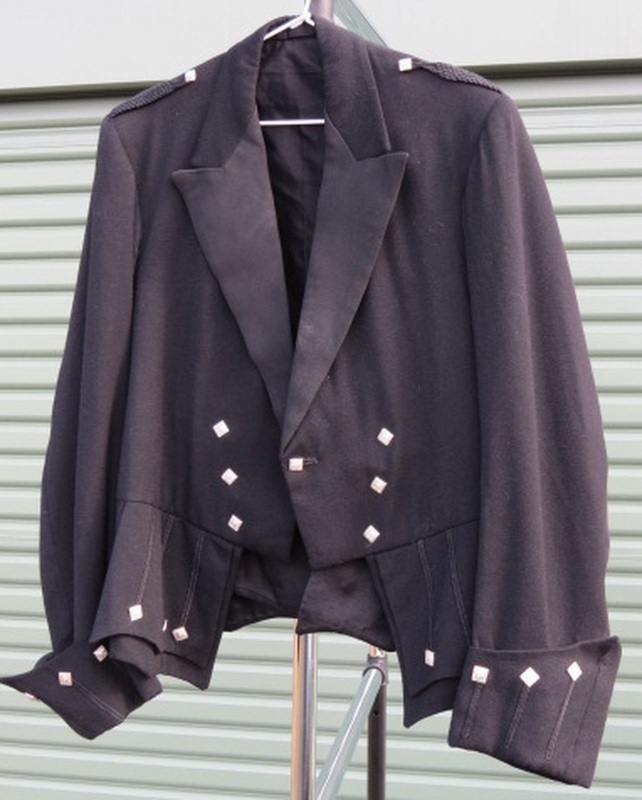 Jsc4 Regulation Doublet. Formal. Winter weight. Also available in boys' sizes. Jsc5 Montrose Doublet. Very formal, very romantic. Most are winter weight. Various sizes. Usually worn with a lace jabot +/- lace cuffs, and a belt.